United Security Services provides security support and security enforcement in many industries. It is our wide range of experience in many industries that allows us to bring a comprehensive security package to satisfy your security requirements. 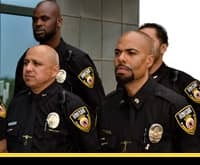 The Security Guards and Security Field Managers that United Security Services assigns to you are trained for your specific industry and your specific security needs. We provide security patrol services, armed guard services, unarmed guards services and more. Our experience makes us adaptive and many industries share similar requirements. We can provide security anywhere. Part of your consultation is an analysis of your specific security requirements. Ideally this includes a tour of the property. Our specialized security consultants advise the best security plan for a specific assignment. We offer a bounty of information to educate you when necessary, to help you understand the options for your security plan. In the end, you are not getting “packaged” security. Instead you get the security plan that is the perfect fit for your needs.